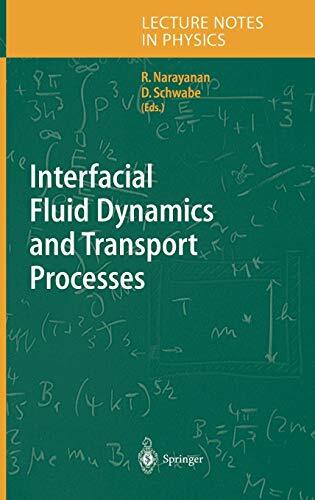 [PDF] Interfacial Fluid Dynamics and Transport Processes (Springer Lecture Notes in Physics) | Free eBooks Download - EBOOKEE! Description: The present set of lectures and tutorial reviews deals with various topical aspects related to instabilities of interfacial processes and driven flows from both the theoretical and experimental point of views. New research has been spurred by demands for many applications in material sciences (melting, solidification, electro deposition), biomedical engineering and processing in microgravity environments. This book is intended as both a modern source of reference for researchers in the field as well as an introduction to postgraduate students and non-specialists from related areas. No comments for "[PDF] Interfacial Fluid Dynamics and Transport Processes (Springer Lecture Notes in Physics)".